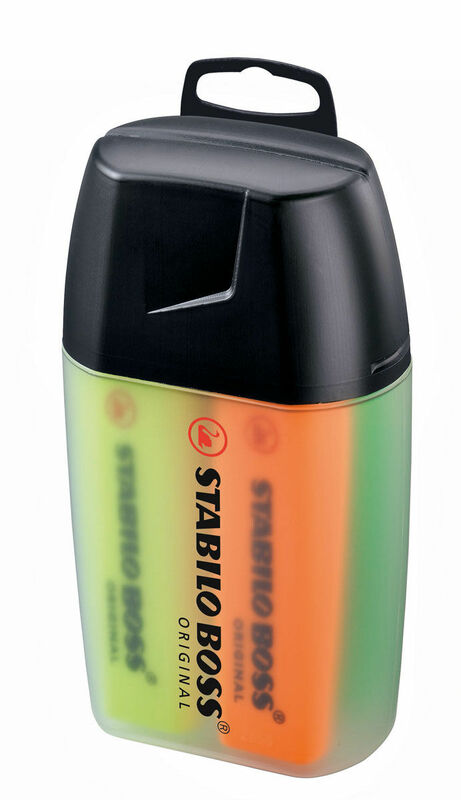 Established 1855 in Nueremberg, Germany, STABILO stands for Quality You Can Trust. 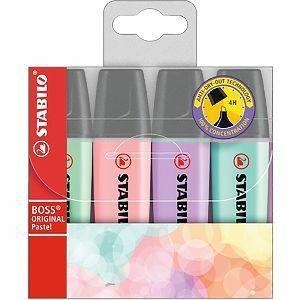 STABILO are the experts in highlighting, and are the No.1 trusted highlighter brand with the BOSS, since its invention in 1971. 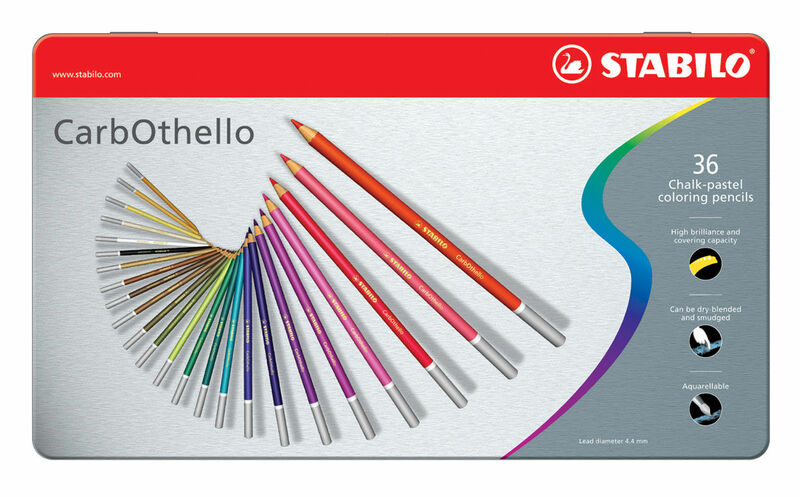 The STABILO writing range includes high quality and durable pens that have been designed to provide excellent writing comfort. 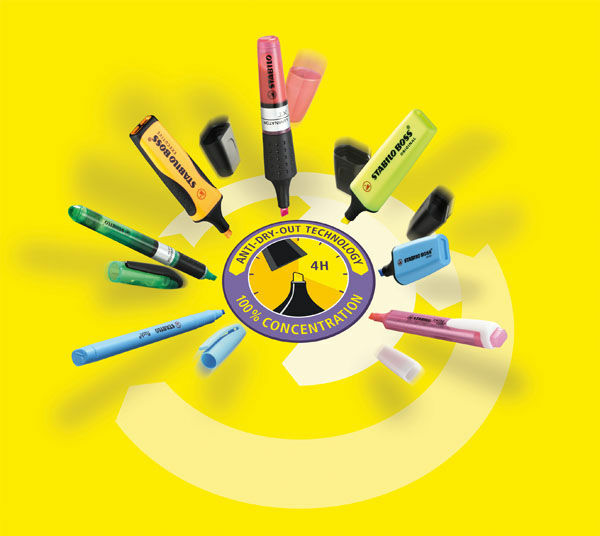 Every STABILO product is engineered with useability in mind. 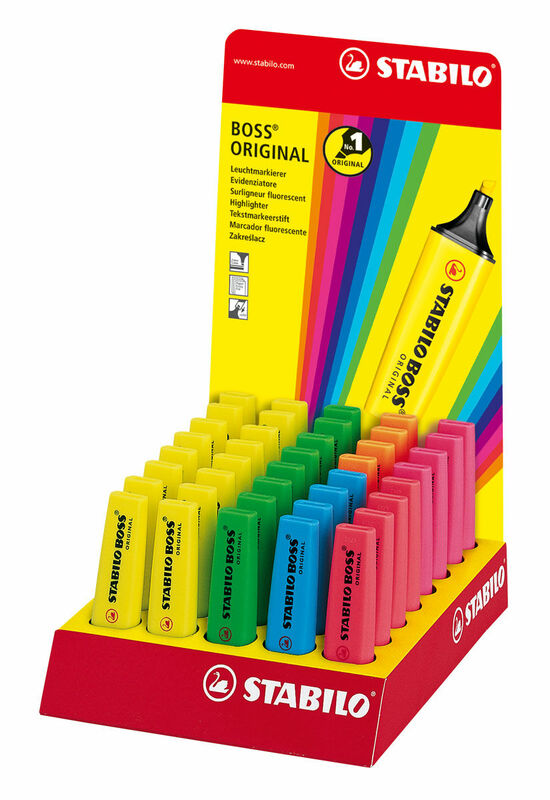 A distinctive and innovative range of products made for all uses and ages, as well as a passion for colour are some of the most exceptional features of the STABILO brand. 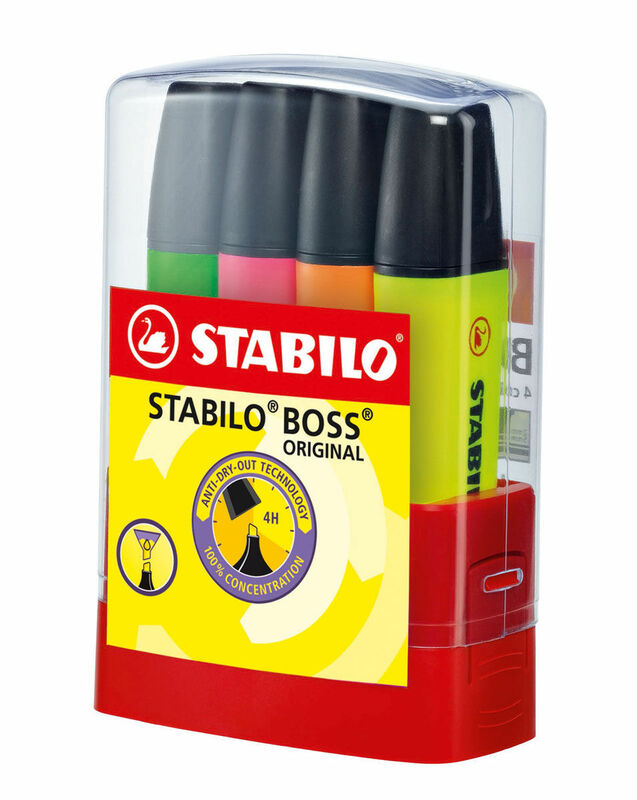 The STABILO standard of quality is ensured through state of the art manufacturing facilities. 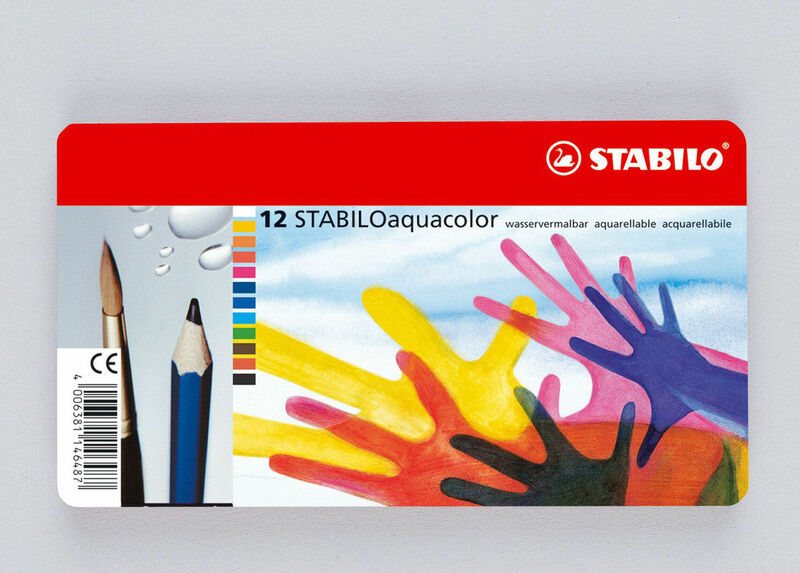 High-quality aquarellable colored pencil in sturdy tin box. 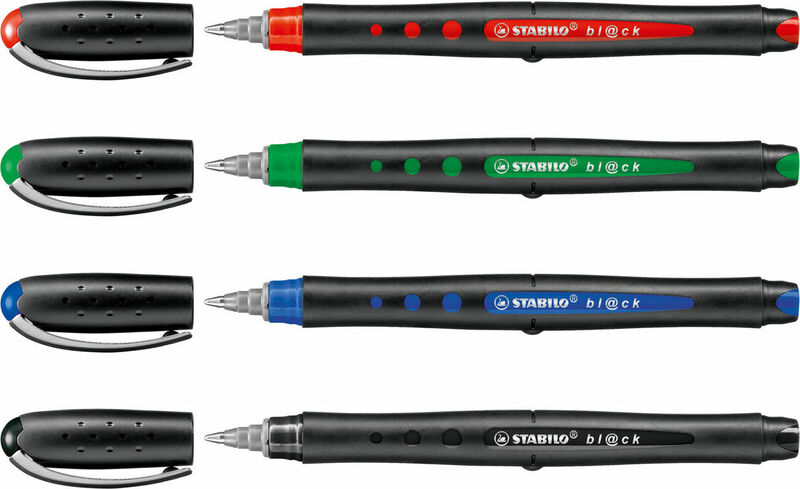 STABILO bl@ck is a free ink rollerball with smooth writing technology and an elegant office design. The BOSS Executive is ideal for highlighting on photocopies or inkjet print outs. BOSS Executive sets are versatile and ideal for easily accessing your highlighters. The legendary BOSS comes in miniature! 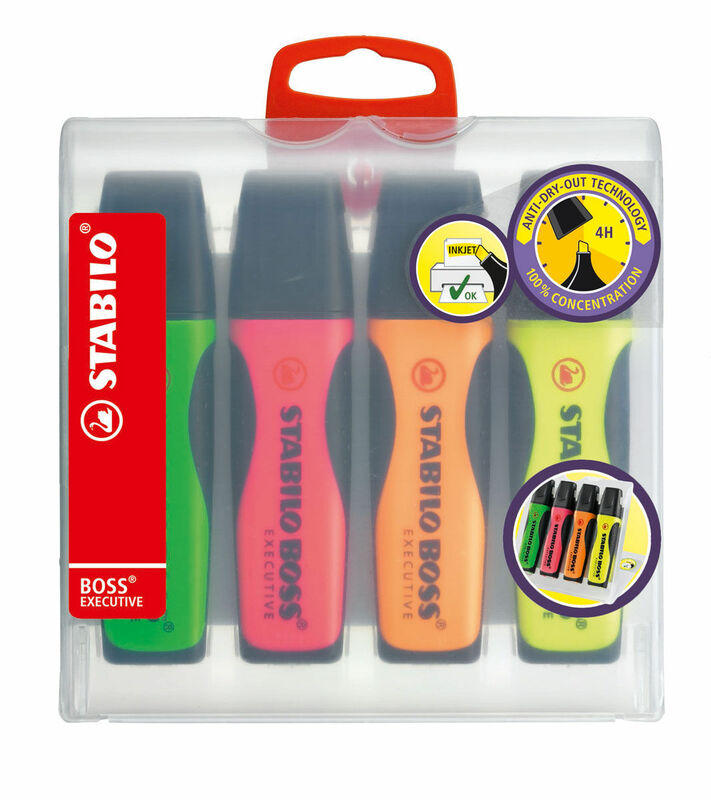 The market leader in highlighting, the STABILO BOSS is the only highlighter available in 9 attractive fluorescent colours. Display containing 8 x Big BOSS Boxes. Each highlighter shaped box contains 4 x BOSS highlighters. Bright and compact counter display containing 40 pieces of STABILO BOSS highlighters. 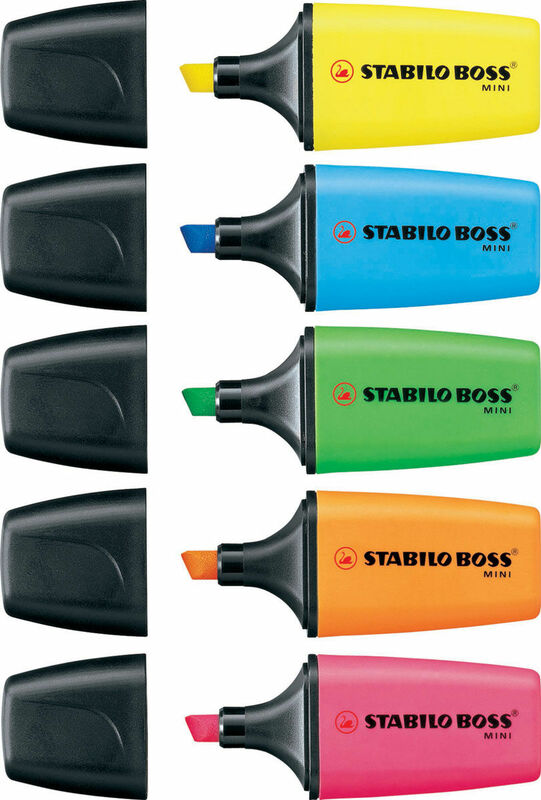 Attractive and professional STABILO BOSS sets for your desk. 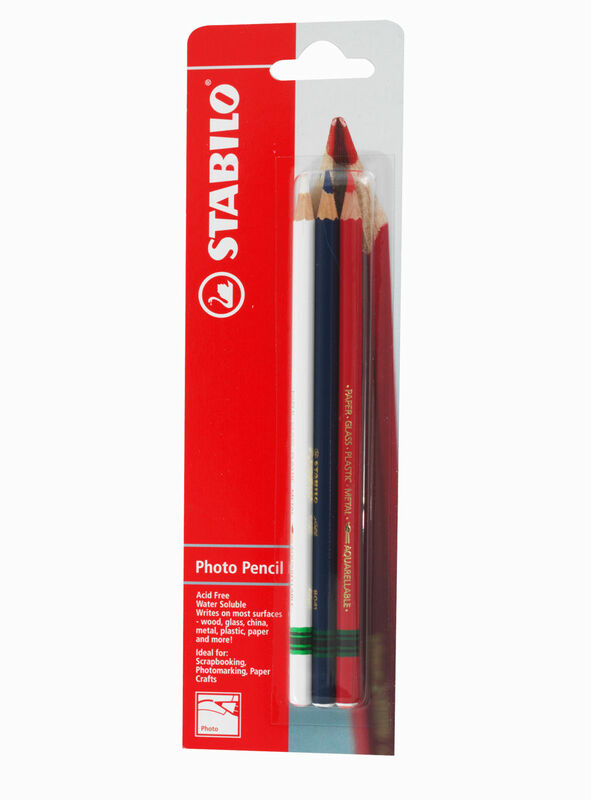 CarbOthellos pencils are anÂ outstanding quality soft coloured charcoal pencil which offersÂ rich intense colour.